Offering a full range of services! 1st Class Car Bodywork Repair. Full Paint & Accident Repair. 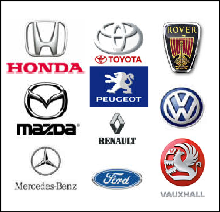 Cars, Commercial Vehicles & Motor Cycles. Welcome to Alfreton Auto Sprays, the car bodywork repair and spray specialists! Alfreton Autosprays is a well established vehicle paint and car bodywork repair shop based in Alfreton, Derbyshire. With over 20 years experience we offer the reassurance of a high quality, professional service. Our business is built on reputation and recommendation. Had an Accident? Call us first. You could save money. "MVRA garages provide you with peace of mind. Our nationwide network of repairers offer clean and professional premises, skilled repairers, up to date equipment, a commitment to only carry out work at the customer's request, and to charge work at agreed prices". Site hosted by Taghosting.co.uk 2010 - All Rights reserved - Content By Marathon Media.